Coffee is one of the most in-demand caffeine drinks today. Of course, not to mention the difficulties given once it is spilled on your favorite clothes or shirt. The stains came from coffee are hard to remove. Fortunately, we have options to consider when removing them, like tapping the stains on cold water. Another way also is to blot the stains thru a paper towel or tissue. This instance is pretty similar when eradicating stains on teeth caused by the same item. This condition is popularly called as discoloration. Tooth discoloration is an embarrassing dental issue. This causes you to limit your smile. Our teeth consist with a translucent look. However, due to excess use of coffee and other caffeine products, the color turns into the shades of yellow or brown. Stained teeth are not only caused by caffeine products, to learn the other practices and influences, learn the following tidbits below and find out what triggers tooth discoloration. Discoloration of teeth can be caused by natural processes and inevitable occurrences, like aging, taking medicine or tooth trauma. Of course, not to mention the commonest bad habit: excessive smoking. Cigarette smoking is a habit both practiced by men and women. This is known to reduce stress and anxiety but highly promotes the potential risks of cancer, heart disease and dental problems. Smoking negatively affects human oral health. Other than being toxic, this primeval habit can lead to tooth discoloration, mouth sores, periodontal disease and mouth cancer. Based on research, a single stick contains 400 chemical compounds and 400 toxic substances – fairly enough to kill your teeth. The harmful ingredients, like nicotine found in this item enhance build-up of dental tartars. Dental tartars are known as the severe form of plaques. This can turn your teeth into brown or yellow and can only be resolved through professional teeth cleaning. Aside from smoking, highly acidic drinks also are discovered to promote teeth stains. Besides coffee, individuals should be keen on red and white wines, cola drinks and teas. These acidic drinks are known to enhance erosion and tartars. Dental tartars block the natural color of your teeth. If ignored, this continues to flourish, making your teeth and smile dull. To save your smile from jeopardy, the best way to consider is to quit smoking and limit yourself from acidic drinks. 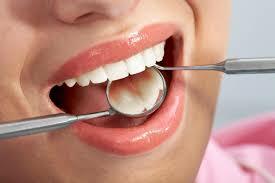 Furthermore, consider seeing a skilled cosmetic dentist. This dental specialist can help you out on preventing tooth stains.